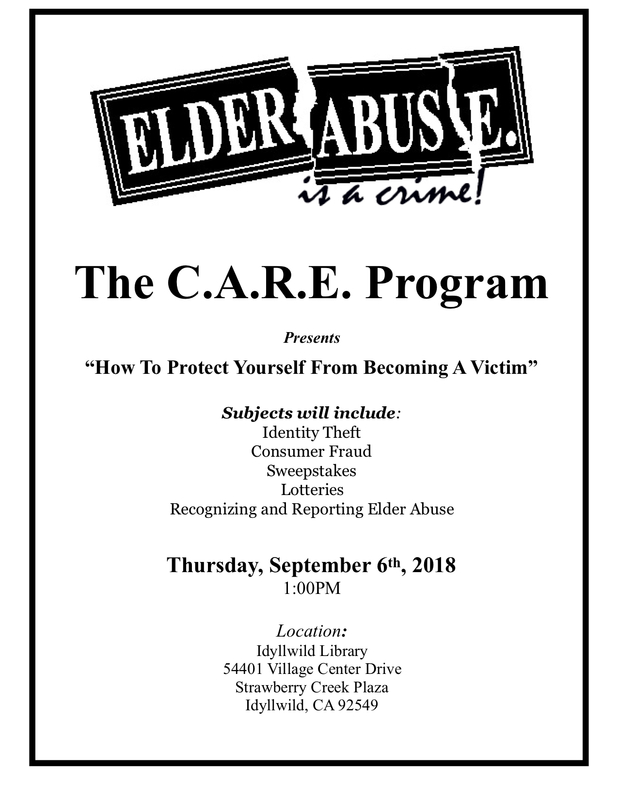 Representatives from Riverside County will be presenting a program on Elder Abuse on Thursday, Sept. 6, 2018 at the Idyllwild Library at 1 p.m.
You may be eligible for assistance with your utility bills and/or weatherizing your residence to save energy and reduce your fuel bills. 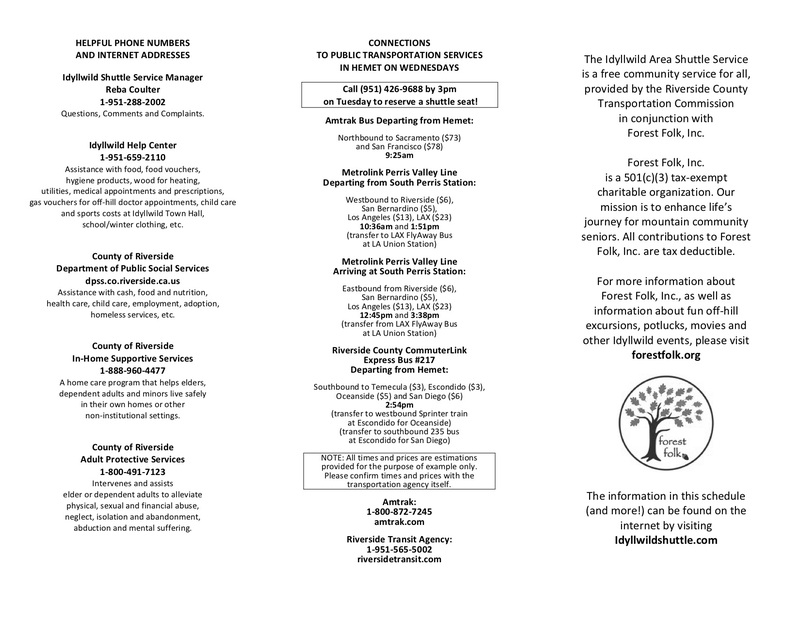 Grant money is still available for this program if you qualify. 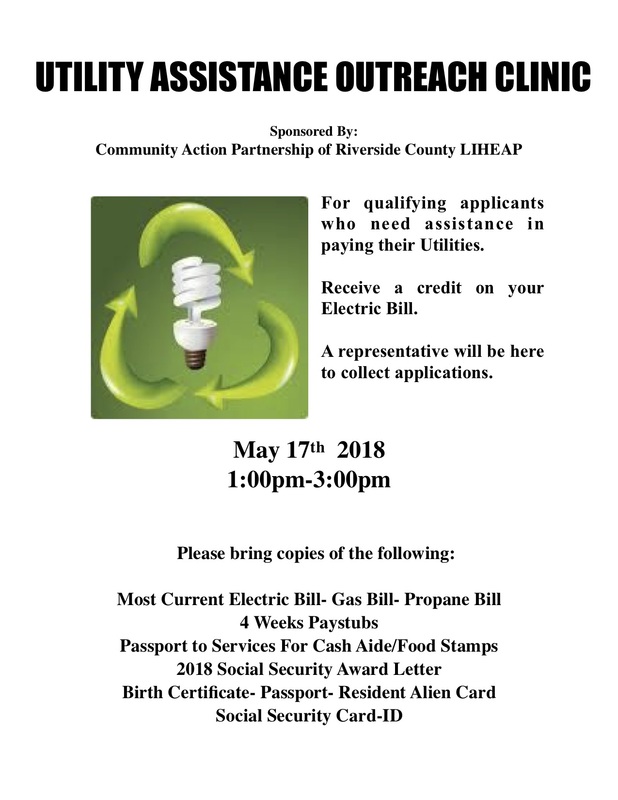 Representatives of Riverside County will be at the Library on Thursday, May 17, at 1 p.m., to present information about county services and to help residents complete applications for the Low-Income Home Energy Assistance Program (LIHEAP). 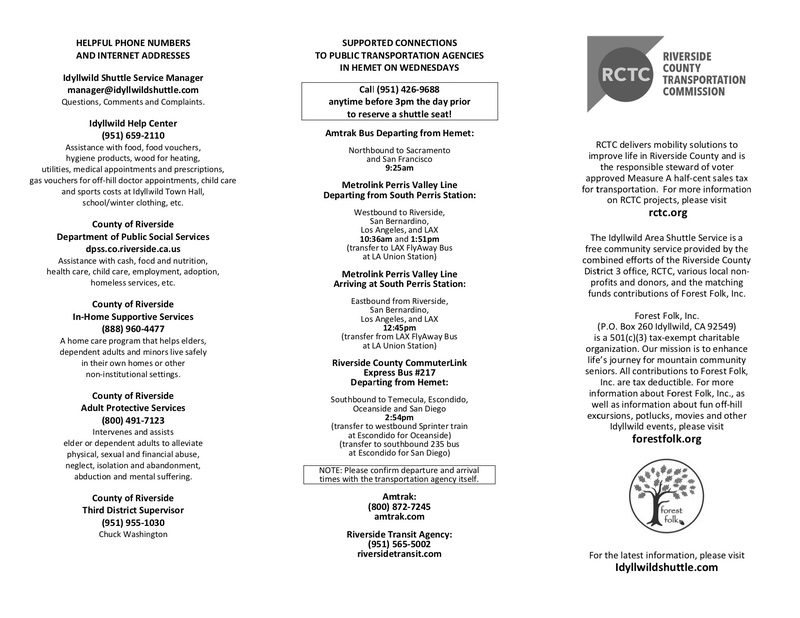 If you want more information about the requirements of each program, you can download the income guidelines and applications below. 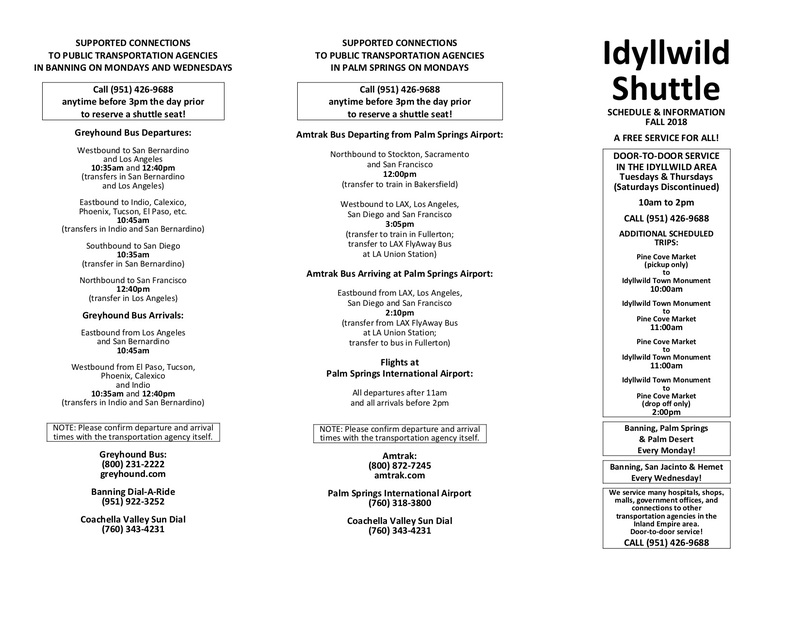 Changes have been made to the Idyllwild Shuttle Schedule to serve more people! The new hub will be Banning. Changes will be effective Monday, February 26, 2018. Off hill trips to Banning, Palm Springs and Palm Desert will be on Monday. 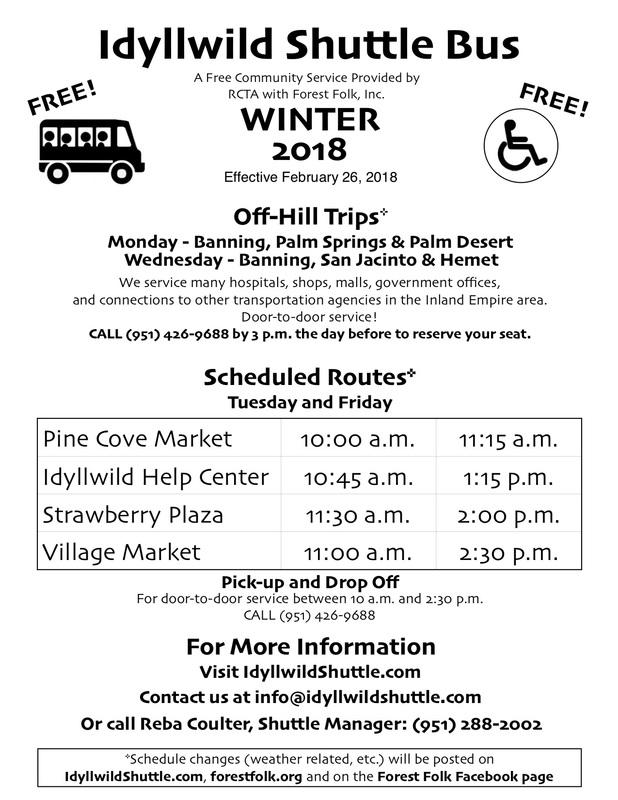 Trips to Banning, San Jacinto and Hemet will be on Wednesdays. 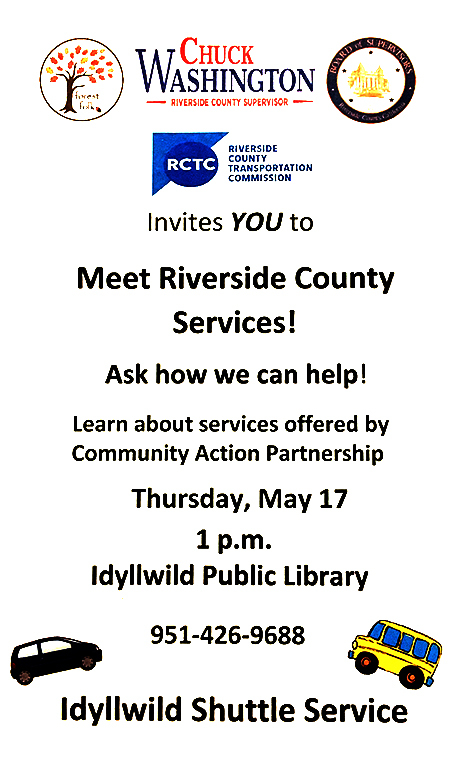 Call (951) 426-9688 by 3 pm the day before to reserve your seat. 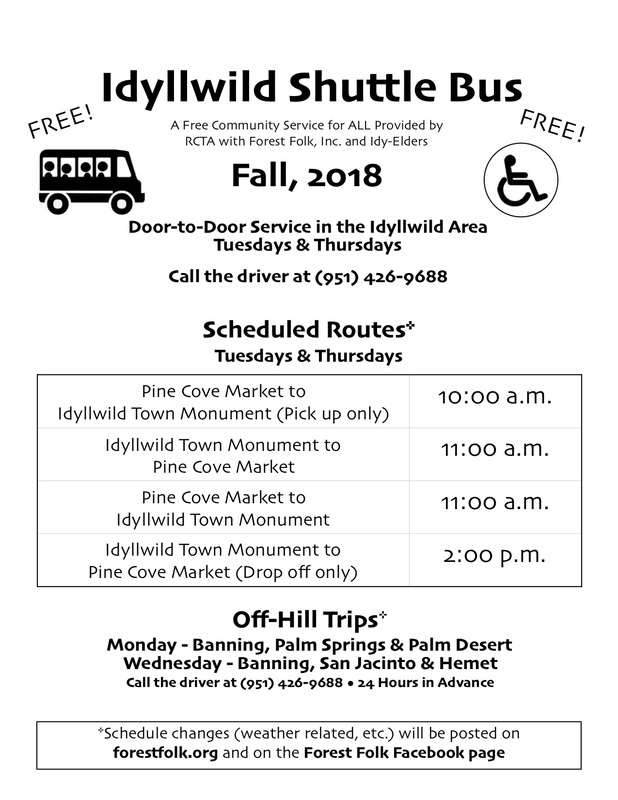 Idyllwild/Pine Cove scheduled routes will be on Tuesdays and Fridays. 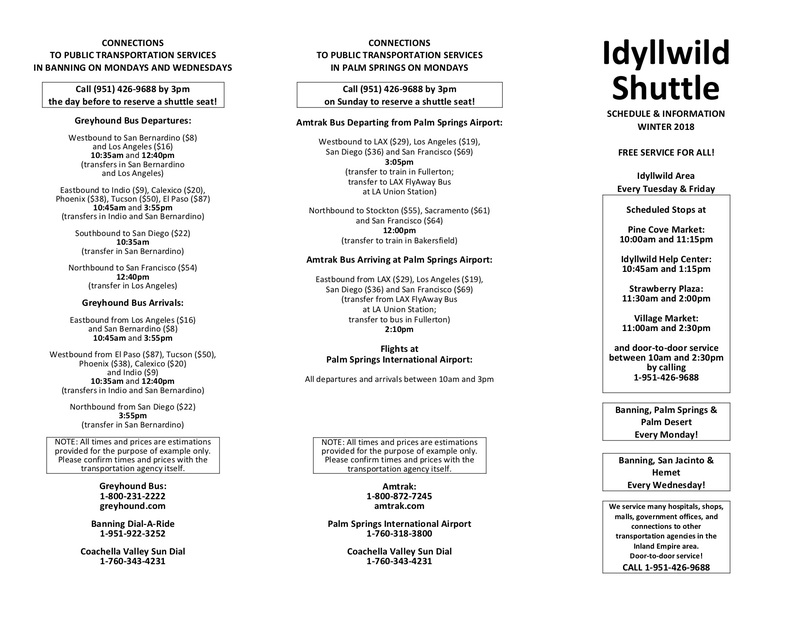 For door-to-door service, call (951) 426-9688. The Banning hub will offer opportunities for seniors to spend time at the Banning Senior Center on Mondays and Wednesdays.